2.67 December 31, 2014: The Shredder Writes: "There’s a plethora of people eager to tell you all about how Phillips 66 has done so much for the community"
The Ponca City News reported on January 3, 2019 that the Kay County Sheriff’s Department recently received a $40,000 grant from Phillips 66 to update their radio equipment. “The Kay County Sheriff’s Department requested a donation from Phillips 66 Ponca City to upgrade our outdated radio system. We received the $40,000 grant which will allow us to purchase and install hand-held radios equipped with earpieces and microphones, in-car radios and accessories, dispatch upgrades that will be the gateway for additional radio channels, Motorola upgrades and other accessories,” said Sheriff Steve Kelley. This new equipment will enhance communication across the county. Kelley said county officials recently added a repeater and second antenna. The antenna helps to ensure that the repeater does not loose signal and contact between car or portable radios that enforcement officers use. Bartlesville Radio reported on April 10, 2018 that thanks to a grant from Phillips 66, Rogers State University's summer STEM and Career Exploring Opportunities Camp will provide a five-day camp for 100 Bartlesville area students who will be starting 9th grade this fall with indoor and outdoor interactive activities designed to teach new STEM competencies and explore STEM career opportunities. Technology Vice-President for Phillips 66, Ann Oglesby says the company hopes the camp will encourage local students to pursue further education and careers in STEM disciplines. She goes on to say the ultimate goal is to inspire the students to one day generate solutions to new challenges and technological innovations in business. KSBY reported on October 31, 2017 that Phillips 66 donated 25,000 to the Architecture and Engineering Program at Arroyo Grande High School. The money will be used for software, technology, equipment and to fund industry field trips, said Amy Jacobs, communications coordinator for the Lucia Mar Unified School District. After the check was presented, Phillips 66 offered students advice about careers in a STEM-related (science, technology, engineering and math) field. The Plaquemines Gazette reported on September 19, 2017 that Phillips 66 has made a $30,000 grant to the Coalition to Restore Coastal Louisiana (CRCL) to fund a major habitat restoration project in Plaquemines Parish. On Sept. 9, more than 30 Phillips 66 Alliance Refinery employees and volunteers from the local area took part in a planting event at the Bayou Dupont Terrace Project. The group planted 4,500 plugs of native marsh grass which will help redevelop part of our coastline and provide improved natural flood defense. Phillips 66 Donates $4 million to Harvey Relief Efforts. Phillips 66 will contribute $4 million to assist Hurricane Harvey relief efforts in southeast Texas. Phillips 66 shut down down its 247,000-barrel-a-day Sweeny refinery near Houston on August 27, 2017 due to possible flooding in the area and to keep employees safe. Phillips 66 was able to keep the Lake Charles and Alliance refineries open. Photo: SC National Guard Wikimedia Creative Commons Public Domain. Bartlesville Radio reported on September 5, 2017 that Phillips 66 announced it will contribute an additional $3 million to assist Hurricane Harvey relief efforts in southeast Texas. The donation will be shared equally by the Rebuild Texas Fund, United Way of Greater Houston and the American Red Cross and will bring Phillips 66’s total contributions to $4 million since the storm. Phillips 66 CEO Greg Garland says officials thoughts and prayers continue to be with all those affected by the unprecedented disaster, including many employees, friends and neighbors across southeast Texas. Garland says we recognize the road to recovery will be long, but remain deeply committed to helping communities rebuild. The Santa Maria Times reported on August 15, 2017 that Hancock College received a $25,000 donation from Phillips 66 to support students seeking degrees in science, technology, engineering and mathematics (STEM). Designed as a four-day orientation to introduce freshmen and their parents to STEM education, the program features hands-on activities and presentations focusing on topics such as applying for financial aid, transitioning from high school to college and highlighting student resources. 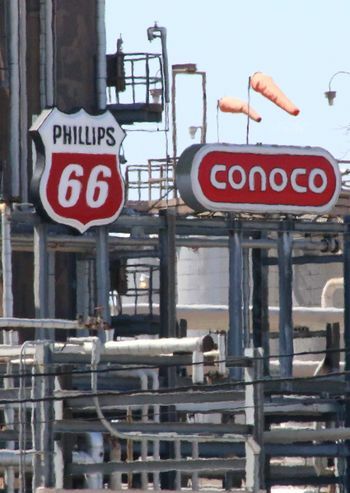 As part of the program, students will tour the Phillips 66 refinery in Santa Maria. The Santa Maria Sun reported on July 5, 2017 that Phillips 66 is donating $25,000 to Guadalupe's Dunes Center to go toward educational opportunities to underserved students in programs such as science, technology, engineering, and math. Education programs that will benefit from funding include guided student field trips to Oso Flaco Lake, classroom science presentations, and informal programs available through 10-week-long after-school programs held in partnership with local schools and community organizations. Recent topics include geology and botany; oceanography will be offered this summer. The Ponca City News reported on June 2, 2017 that Zachary Pando, son of Phillips 66 employee Maurilio Pando, will receive a $16,000 college scholarship from the Phillips 66 Dependent Scholarship Program. The competitive program awards outstanding college-bound students whose parents work for Phillips 66 or one of its subsidiaries. The Phillips 66 Dependent Scholarship Program will annually award as many as 66 four-year scholarships of $16,000 each for higher education at any accredited institution. Refinery Manager Pete Stynes told the Ponca City Lions Club on October 10, 2012 that about 800 employees and contractors work at the refinery with the direct employment of 625 Phillips employees. Bartlesville Radio reported on May 26, 2017 that nine Bartlesville area seniors received a $16,000 college scholarship from the Phillips 66 Dependent Scholarship Program: Samantha Coats, Kaitlyn Cole, Alexis Jergenson, Ashley Raatz, and Henry and Jack Williams who all attend Bartlesville High School plus three other students from the Bartlesville area: Katelynn Morgan from Oologah-Talala High School, Nathan Schaffner at Collinsville High School, and Kaleigh Townley of Barnsdall High School, won scholarships. Merl Lindstrom, vice president of technology for Phillips 66, told Bartlesville’s Daybreak Rotary Club on January 23, 2015 that approximately 1,750 Phillips 66 employees work out of the company’s offices in downtown Bartlesville and another 450 are based at the Research Center in west Bartlesville for a total of 2,200 Phillips 66 employees in Bartlesville. NewsOK reported on May 12, 2017 that Phillips 66 will donate $1 million to Oklahoma University to support construction of a new academic building and research laboratory on OU's Engineering Quadrangle. OU President David Boren recommended the regents name the Diversity and Inclusion Learning Space to honor Phillips 66 in appreciation of the gift. The new learning space will feature a 70-inch monitor for project viewing, student printers and two small study rooms. It will include movable furniture that will allow students to create the study environment best suited for their projects and will encourage student and faculty interaction and collaboration. Riverbender reported on May 9, 2017 that Phillips 66 has made a $25,000 donation to the American Red Cross Greater St. Louis Chapter to help with flood relief efforts in the area communities that neighbor the Wood River Refinery and the company’s terminal and lubricants assets in the region. “Phillips 66’s generous gift of $25,000 provides for the critical needs of those that are impacted by the flooding in our region. Hundreds of local residents will receive comfort and care now and in the months to come thanks to the company’s commitment to the Red Cross,” said Cindy Erickson, Red Cross of Eastern Missouri CEO. The Ponca City News reported on April 28, 2017 that Phillips 66 has given a $30,000 grant to Ponca City Public Schools to support the implementation of hands-on science kits in the elementary schools including kits on Exploring Forces in Motion-Kindergarten; Organisms-first grade; Floating and Sinking-second grade; Butterflies-third grade, Electric Circuits-fourth grade and Ecosystems-fifth grade. “I am a big believer in our hands-on science kits,” said Teri Vogele, Ponca City School Associate Director of Elementary Curriculum. “I believe these kits are highly beneficial to our students. Through these kits they receive an engaged, hands-on experience rather than a canned science curriculum from a textbook. They are actually working through the scientific process, making predictions, gathering and graphing data and developing engineering and technology skills. Tapinto reported on January 15, 2017 that Phillips 66 Bayway Refinery has donated $30,000 to fund an outdoor pavilion and associated activities at Phil Rizzuto Park that will serve as a headquarters for learning about ecology and the need to preserve nature in urban communities. "Phillips 66 is proud to sponsor projects that protect and enhance the environment and add benefits to our local communities," said Nancy Sadlon, manager, Phillips 66 Bayway Refinery Public Affairs. “The County of Union is proud to partner with Groundwork and Phillips 66 to promote environmental education in one of the state’s most populated regions,” said Freeholder Chairman Bruce H. Bergen. The Creole reported on December 23, 2016 that Phillips 66 recently donated $50,000 to the Sorrento Fire Department to help with both aging equipment and losses suffered during the August flood with some of the money used to replace a 20-year-old fire truck by matching a grant. Several assets in south Louisiana, including a Sorrento salt cavern in the McElroy Swamp, were acquired by Phillips 66 earlier this year. Myhighplains reported on December 20, 2016 that Phillips 66 Amarillo Pipeline Division has made a grant of $35,000 to the Amarillo Police Department to provide updated supervisory and leadership training to police supervisors. 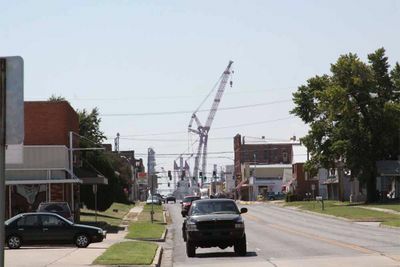 The Ponca City News reported on December 16, 2016 that Phillips 66 has award three grants to the city of Ponca City for a total of $120,000 intended to enhance the environment and safety of the community. A $60,000 Pillar of Safety grant will be used to purchase and install musical-themed playground equipment at Garfield Park. A $30,000 Pillar of Safety grant will be used to purchase mobile repeaters for the City of Ponca City’s public safety communication radio system in order to enhance public safety and emergency operations. A $30,000 Pillar of Environmental grant will be used to purchase and distribute dual smoke and carbon monoxide battery operated detectors that will be distributed on a first come, first serve basis to income-qualifying homeowners. The whole idea behind the map is place-based education. It includes not only a map of the Flint Hills but also the Tall Grass Prairie and information about the area on each of the maps, with different maps created for elementary, middle school and high school/college levels. This is the first time a map has shown the remaining native tall grass prairie. Ninety-six percent of it has been plowed and developed, making the tall grass prairie the most altered ecosystem there is. The Ponca City News reported on September 2, 2016 that Phillips 66 donated $11,000 for a walking track at Redbud Park that is one fourth of a mile long, with 1/8 existing track and 1/8 Woodlands construction. The Woodlands Parent Teacher Association (PTA) donated another $5,000. In appreciation of the grant from Phillips 66, the track was named The Phillips 66 Walking Track at Redbud Park. The school plans to require students to walk or run a lap around the track each day at the beginning of recess, with additional laps encouraged. In addition, the track will be used often for P.E. running activities. At other times, classes will take a “brain break” by running or walking a few laps before returning to class. The track is open for public use in the park. The Edwardsville Intelligencer reported on July 27, 2016 that four local high school seniors will receive a $16,000 college scholarship from the Phillips 66 Dependent Scholarship Program. The competitive program awards outstanding college-bound students whose parents work for Phillips 66 or one of its subsidiaries. “This scholarship program reflects Phillips 66’s commitment to the communities where we live and operate, and builds on our corporate vision of improving lives,” said Melissa Erker, Director of Government and Community Affairs at the Wood River Refinery. Phillips 66 is a growing energy manufacturing and logistics company with high-performing Midstream, Chemicals, Refining, and Marketing and Specialties businesses, headquartered in Houston. “We congratulate these four students on their achievements inside and outside the classroom and wish them every success in college,” Erker said. The Phillips 66 Dependent Scholarship Program will annually award as many as 66 four-year scholarships of $16,000 each for higher education at any accredited institution. Scholarship Management Services, a neutral, third-party administrator of educational assistance programs, selects the recipients and manages the program for Phillips 66. The Riverbender reported on January 26, 2016 that during the post-Christmas torrential rains, water flowed over the area at Illinois 143 between Illinois Route 255 and caused it to be closed for two-plus weeks. City Manager Jim Schneider says Phillips 66 helped immensely with the water situation. “Melissa [Erker] called me and asked how Phillips 66 could help and they sent a crew over there with pumps for a few days,” said Schneider. “Our city employees and IDOT also did a good job working with the area. Without Phillips 66 assisting, the water would have been over the road for more days, Schneider added. The city manager is hopeful that Phillips 66 and IDOT both will work with the city to find a permanent solution to the problem with water spilling out to the road on both sides of Illinois 143 near Illinois 255. 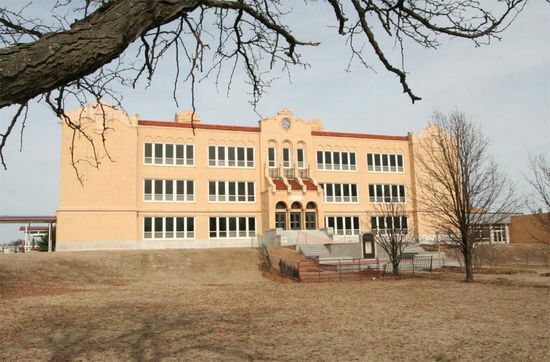 Ponca City High School. Phillips 66 has made a donation to purchase science equipment to support environmental science at East and West Middle Schools and for student supplies to be used during their “Engage” projects to support students' future reading skills, creative thinking, collaboration, critical thinking, integration of technology, global competence and problem solving. “The Ponca City School district is very appreciative of the monetary support we receive from Phillips 66,” said Barbara Cusick, Executive Director of Curriculum for the Ponca City Public School district. “Teachers and students have more opportunities due to the generosity of Phillips 66 and its employees, serving as mentors to the students.” Photo: Hugh Pickens. The Ponca City News reported on January 8, 2016 that Phillips 66 has made a donation to purchase science equipment to support environmental science at East and West Middle Schools and for student supplies to be used during their “Engage” projects to support their future reading skills, creative thinking, collaboration, critical thinking, integration of technology, global competence and problem solving. The Ponca City News reported on December 25, 2015 that the Phillips 66 Refinery donated $15,000 to the Northern Oklahoma College Foundation for financial support of the Process Technology (PTEC) Program at Northern Oklahoma College (NOC} located in Tonkawa, Oklahoma. The program support is to enhance the curriculum and to provide “hands-on” experience for the students in preparation for work in operations. "The Foundation greatly appreciates the generous Phillips 66 donation," said Sheri Snyder, NOC vice president for development and executive director for the NOC Foundation. “Our longtime partnership has provided many educational opportunities that continue to enrich the lives of NOC students. Tim Seidel, Ponca City refinery manager presented the donation to NOC president Dr. Cheryl Evans. 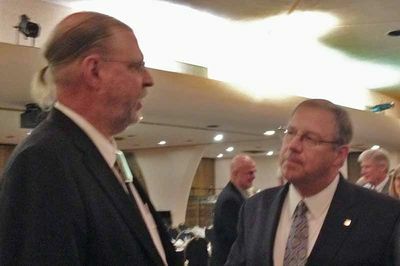 On August 13, 2015 Ponca City resident Hugh Pickens spoke with Phillips 66 Chief Executive Officer Greg Garland after a forum in Bartlesville sponsored by the Bartlesville Chamber of Commerce and asked Garland what it would take for Ponca City to qualify for a grant from Phillips 66 to promote science in the Ponca City School System, like the grant of $1.7 million that Phillips 66 gave to Bartlesville Public Schools in 2014 to create new innovative laboratories on three school campuses in Bartlesville to support science, technology, engineering and math. Garland responded that he would look into the matter. The Bartlesville Examiner-Enterprise reported on November 16, 2015 that members from the community got to see first hand Sunday the result of a multimillion dollar expansion of the campus at Bartlesville High School and one of the crowning achievements is the Phillips 66 Innovation Labs that are already completed at Madison Middle School and the BHS campus. The labs are made possible by a $1.7 million grant to the BPSD from Phillips 66. BHS sophomore Lukas Cochran said the Innovation Lab will stimulate interest in science, technology and mathematics. “I love it. I like the physical examples. Taking something that you can visualize in your head and figuring out the math behind it,” he said. Cochran said he plans to pursue a career in engineering. The lab has allowed the high school to add research, computer science and chemistry classes, said Superintendent Dr. Gary Quinn. “Our students can now do their science fair projects in a space fair classes in a space that’s designed for that,” he said. Quinn said the administration plans to connect with company employees and retirees to mentor the BHS students. “It will help them to be able to grow even more. … It’s a very exciting thing that we think sets our school district apart from other school districts,” Quinn said. The River Front Times reported on September 10, 2015 that Phillips 66 has donated a 1,200-square-foot mural to the city of St. Louis as part of KDHX 88.1 FM "66 Reasons to Love St. Louis" ad campaign. "It is not likely we would have taken on a mural without some kind of sponsor," says Kelly Wells, the station's interim co-executive director. She said the company paid for all the materials and compensated the father-daughter artist duo, Robert and Liza Fishbone, who created it. The Fishbones were selected by a committee consisting of representatives from Phillips 66, KDHX, the Grand Center and the locally-based marketing firm Switch after a request for proposals. According to the River Front Times, the mural also contains some subtle — though probably unintended — PR imagery. The left side of it depicts someone canoeing on a clean blue river — ironic, given that as recently as last April, the Phillips 66 refinery in Wood River, Illinois (which is just across the river from St. Charles) spilled 25,000 gallons of diesel fuel into a waterway that feeds into the Mississippi. The mural will be dedicated on September 11, by Mayor Francis G. Slay. The Alton Telegraph reported on August 24, 2015 that five local high school graduates who are sons and daughters of Wood River Refinery employees will receive a $16,000 college scholarship from the Phillips 66 Dependent Scholarship Program. The competitive program awards outstanding college-bound students whose parents work for Phillips 66 or one of its subsidiaries. The awards are based on academic excellence, community service and financial need. “This scholarship program reflects Phillips 66’s commitment to the communities where we live and operate and builds on our corporate vision of improving lives,” said Melissa Erker, Wood River Refinery spokeswoman. The Bartlesville Examiner-Enterprise reported on June 13, 2015 that completion of the Phillips 66 Science, Technology, Engineering and Mathematics Lab at Bartlesville High School will be delayed. According to Scott Ambler, architect of the construction projects at the expanded BHS campus, sub-contractor Estruct LLC — which laid the concrete slab in the new science wing and laid the slab on both floors of the ninth-grade center, commons area and 10th-grade classrooms — did not level the concrete appropriately. Because extra crews and resources are going to be used to correct the problem, Nabholz Construction said completion of the Phillips 66 Science, Technology, Engineering and Mathematics Lab will be delayed. The STEM Lab is being built in the basement of the main building at BHS, where the former cafeteria was located. Officials say the STEM Lab will most likely not be ready at the very start of the school year, but will be completed shortly afterward. The Bartlesville Examiner-Enterprise reported on June 3, 2015 that five area high school seniors will receive a $4,000 college scholarship from the Phillips 66 Dependent Scholarship Program. The competitive program awards outstanding college-bound students whose parents work for Phillips 66 or one of its subsidiaries. The awards are based on academic excellence, community service and financial need. This scholarship program reflects Phillips 66’s commitment to the communities where we live and operate and builds on our corporate vision of improving lives,” said Claudia Kreisle, Phillips 66 Director, Contributions and Community Engagement. Riverbender.com reported on May 28, 2015 that the Community Advisory Panel (CAP) of the WRB Wood River Refinery has awarded six scholarships in the amount of $700 to area high school seniors to help students offset the cost of tuition at a community college, university or technical school. Since the establishment of the Wood River Refinery Community Advisory Panel Scholarship in 2008, more than $22,000 has been awarded to area students. The CAP, comprised of 17 community members and 6 refinery employees, was established in 2003 to facilitate communications and information sharing between the refinery and local communities. The CAP meets monthly, but also hosts special events in the community. On July 17, 2015, the CAP will host a free family movie night at the Nazarene Community Center in Roxana. WGNO reported on April 30, 2015 that more than 100 students from Belle Chasse Middle School got a chance to hang out and soak up some at the Belle Chasse YMCA in the first of four special “Catching Rays for Making A’s” academic achievement celebrations. The Sheriff’s Office officials say, “the program is made possible by a generous $25,000 contribution from Phillips 66’s Alliance Refinery. “ The Sheriff’s Office teams up with YMCA of Greater New Orleans, Plaquemines Parish School Board, and Phillips 66 Alliance Refinery to put on the program. KSBY reported on April 24, 2015 that the Phillips 66 Santa Maria Refinery presented the Lucia Mar Unified School District with $20,000 to help bring a popular robotics program to every school in the district. "It's a tool to get them off the ground and competing in the same types of things that these guys do," said Nipomo High School robotics teacher Greg Gracia. "So they're kind of being the mentors of the district." Members of the award-winning Nipomo High School robotics team were on hand for the check presentation, fresh off their appearance in the U.S. Open Robotics Championship Tournament in Iowa. The Riverbender reported on February 26, 2015 that the Phillips 66 Wood River Refinery donated $20,000 to the Southern Illinois University Edwardsville School of Engineering on February 24, 2015 to provide support for equipment, activities and 10 scholarships to students at SIUE’s Engineering Summer Camp who demonstrate financial need. “The Phillips 66 Wood River Refinery has an emphasis on outreach, particularly in education that betters our community,” said Melissa Erker, director of government and community affairs for Phillips 66. “With this partnership, we have the ability to enhance the community by supporting science, technology, engineering and math (STEM) at SIUE. My High Plains reported on February 13, 2015 that Phillips 66 donated $25,000 to Rolling Hills Elementary School to pay for smart boards in the classroom and to help the STEM (Science, Technology, Engineering and Math) program. Rolling Hills Principal Richard Kelly said, "Give kids those extra resources that they need to be more successfull in the classrooms and give teachers the extra resources to kind of get those kids using those types of technology down here, so that when they get into middle school or high school it's just like using their cell phone." My High Plains reported on January 30, 2015 that Phillips donated $15,000 to West Texas A&M University. Support for the University will come in many forms such as a named classroom and funding for summer engineering camps along with assistance for student organizations, career expos and other career-related areas. 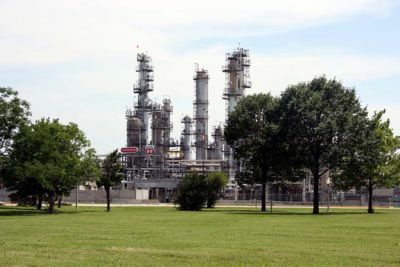 The Ponca City Refinery is Phillips 66's most profitable refinery earning $83,000,000 in profit for Phillips in the third quarter of 2014 for an annualized profit of $331,000,000. In August, 2014 Phillips made a $1,700,000 grant to Bartlesville Public Schools to create new innovative laboratories on three school campuses to support science, technology, engineering and math classes and research projects. Ponca City's grant application for a similar program was turned down by Phillips 66. The Plaquemines Gazette reported on December 30, 2014 that Phillips presented a $100,000 grant to the YMCA of Greater New Orleans on December 22, 2014 that will allow the YMCA in Belle Chasse to build an outdoor walking and jogging track around their facility. “Phillips 66’s Alliance Refinery recently recognized a need for a safe place, free from traffic, for walkers and joggers to exercise outside. Without even being asked to do so, they have now provided a means to our YMCA Belle Chasse facility to meet this community need. Thank you Phillips 66 for your generosity,” said YMCA of Greater New Orleans’ President and Chief Executive Officer Gordon Wadge. The Paso Roble Daily News reported on December 23, 2014 that volunteers from the San Luis Obispo Railroad Museum received a $30,000 contribution from Phillips earmarked to help complete the museum’s ambitious model railroad room, a scale model depiction of the rail industry in SLO as it looked in the early part of the 20th century. According to Museum volunteer Arnold Jonas, the group hosted a tour of its facility for Phillips 66 officials in late fall and received a positive reaction. “Several of the people touring our museum were from out of state and were frankly amazed at what our group of volunteers has accomplished,” said Jonas. “And not only was the group impressed by the museum, they were intrigued by our emphasis on education and our interest in telling the story of the railroad in our county. Apparently that paved the way for our grant approval,” he said. “All of us involved in the oil industry are aware of the role the local railroad played – and continues to play – in keeping our product moving,” said Bill Schroll, manager of the Phillips 66 Santa Maria Refinery located on the Nipomo Mesa. “We are delighted to help educate residents and areas visitors about the rich history of the railroads and their role on the Central Coast, including the dynamic partnership that continues between our industries,” he said. American Press reported on December 20, 2014 that Phillips 66 has given the Westlake police and fire departments $115,000 under the company’s Community Signature Initiative, which aids communities with emergency preparedness and safety efforts. “We had this in the works since September before the election,” said Steve Geiger, plant manager of Phillips 66’s Westlake refinery. “So we reached out to the police and fire departments and told them we had the opportunity to get a grant. So we basically collected the needs of the community and went back to our corporate office and said this is what we see as a benefit to the community.” Mayor Bob Hardey said the money will be split between the two departments. The Fire Department will get $60,000; the Police Department will get $55,000. The Telegraph reported on December 9, 2014 that Phillips 66 Wood River Refinery was the second highest contributor to the Southwest Illinois Division of United Way contributing more than $200,000 of the $1,700,000 total. The Alton Daily News reported on December 8, 2014 that Phillips has given a grant of $100,000 to to create a bike trail in the Village of Bethalto to compliment its park system. The Alton Daily News reported on November 20, 2014 that the local school district of the village of Roxana will not have to repay millions of dollars that the Madison County State’s Attorney says it overtaxed Phillips 66 for the Wood River Refinery. An agreement between numerous taxing bodies and the owners of the Phillips 66 Wood River Refinery has been reached that would eliminate repayment for taxes collected in 2011 and 2012, and lower the refinery’s 2013 assessed value by about $100-million. Phillips filed an objection earlier this year over the amount of taxes levied by the Village of Roxana, the Roxana Park District, Roxana Library District and the Roxana School District. Parties still have to sign off on the agreement. KWON reported on November 19, 2014 that Phillips 66 donated $50,000 and the Lyons Foundation donated $20,875 to help restore Goff Tower, designed by famed architect Bruce Goff and presented in 1964 as a gift from Mrs. H.C. Price to the children of Bartlesville. Citizens are invited for the re-opening ceremony of the Sooner Park Play Tower scheduled for Wednesday, November 26th at 2 pm. KSDK reported on November 28, 2014 that Phillips 66 Wood River Refinery is donaring $250,000 to three local communities to upgrade their storm warning systems by installing new sirens. Phillips has also put money aside for educational programming, including severe weather preparedness programs that will be taught in schools and at municipal fire departments and will fund a National Weather Service spotters training course. Wood River Fire Chief Steve Alexander says much of the credit for this agreement goes to Phillips 66. Texas A&M reported on October 30, 2014 that Phillips made a $1 million donation to the Texas A&M Foundation that will support the university’s new Engineering Education Complex (EEC). “Phillips 66 is committed to investing in education,” said Greg C. Garland, chairman and CEO of Phillips 66, and a Texas A&M chemical engineering graduate. “We need leaders from schools such as Texas A&M who will challenge the status quo and create solutions to meet rising energy needs in the decades ahead.” The company’s contribution will be used to create the “Phillips 66 Experiential Learning Laboratory” within the EEC. The new lab will help better prepare engineering students to meet the evolving needs of the engineering marketplace. Philips CEO Greg Garland is a 1980 graduate of Texas A&M. 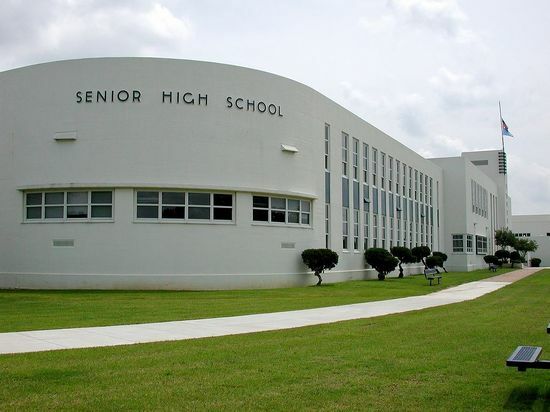 KPLC TV reported on October 28, 2014 that Phillips donated $100,000 to LaGrange High to update the school's science labs. "It's very exciting to be in a lab here today," said Calcasieu Parish Superintendent Karl Bruchhaus. "Phillips 66 has been a great partner and has provided an opportunity for LaGrange High School to have a few things that no other high school that I'm familiar with has the benefit of." The Ponca City News reported on September 3, 2014 that Phillips 66 Ponca City has donated a 1990 Ford Fire Engine to the Fairfax Volunteer Fire Department and a 1989 Ford Fire Engine to the Osage Cove Volunteer Fire Department. “We are happy that others can use this equipment. Other options were to sell or scrap them, but we think gifting to area volunteer fire departments is a good use for the communities they serve," said Dave Klanica, the Ponca City Refinery Safety Manager. The New Orleans Times-Picayune reported on September 2, 2014 that Phillips 66 is giving LSU $750,000 to fund an interactive education classroom in the newly renovated College of Engineering. "This new learning community will accelerate our efforts to prepare graduates to meet the environmental, social, economic, scientific, creative and educational challenges that confront the nation and world in the 21st century," Rsaid ick Koubek, dean and Bert S. Turner Chair in the College of Engineering. The funds came through a Phillips 66 Signature Community Initiative grant application submitted to the company under an effort spearheaded by Scott Bilger, a Bartlesville school board member and Phillips 66 employee, and Granger Meador, a physics teacher who heads up Bartlesville High’s science department. The new laboratories and major new course offerings will be at the high school, along with Madison and Central Middle Schools. “We are just really, really excited about the opportunity this is going to provide our students,” Superintendent Gary Quinn said. “It cannot be overstated what this is going to mean to our students.” Phillips 66 has about 2,000 workers in Bartlesville. The Edwardsville Intelligencer reported on June 27, 2014 that Phillips has awarded nine college scholarships of $16,000 to local high school seniors whose parents work for Phillips at the Wood River Refinery. The awards are based on academic excellence, community service and financial need. “This scholarship program reflects Phillips 66’s commitment to the communities where we live and operate and builds on our corporate vision of improving lives,” said Melissa Erker. “We congratulate these students on their achievements inside and outside the classroom and wish them every success in college." The Phillips 66 Dependent Scholarship Program will annually award as many as 66 four-year scholarships of $16,000 each for higher education at any accredited institution. Scholarship Management Services, a neutral, third-party administrator of educational assistance programs, selects the recipients and manages the program for Phillips 66. ↑ Ponca City News. "Grant will update radio equipment" January 3, 2019. ↑ Ponca City News. "STEM Grant will help fund UC lab" December 12, 2018. ↑ Bartlesville Radio. "P66 Funds RSU Stem Summer Camps" April 8, 2018. ↑ American Press. "Phillips 66 donates $30,000 to CPSB schools" by Marissa Harding. April 4, 2018. ↑ KSBY. "Phillips 66 donates $25K to Arroyo Grande High" October 31, 2017. ↑ Plaquemines Gazette. "PHILLIPS 66 DONATES MAN-HOURS AND MONEY TO COASTAL RESTORATION" September 19, 2017. ↑ Bartlesville Radio. "Phillips 66 Commits 3 Million More Dollars to Texas" September 5, 2017. ↑ Santa Maria Times. "Hancock College receives $25,000 donation from Phillips 66" August 15, 2017. ↑ Santa Maria Sun. "Dunes Center receives funding for educational and archeological programs" July 5, 2017. ↑ Pawhuska Journal. "Phillips 66 donation gives every high school student laptop" by Melinda Stotts. June 30, 2017. ↑ Riverbender.com "SIUE Engineering camp teaches societal impact through interactive activities" June 15, 2017. ↑ Ponca City News. "Ponca City Student Wins Phillips 66 Scholarship" June 2, 2017. ↑ Bartlesville Examiner-Enterprise. "Area students awarded scholarships from company" June 7, 2017. ↑ Bartlesville Radio. "Phillips 66 Honors Students with Dependent Scholarships" May 26, 2017. ↑ Bartlesville Examiner-Enterprise. "Phillips 66 commitment strong" by Nathan Thompson. January 23, 2015. ↑ NewsOK. "OU receives $1 million gift from Phillip 66 for learning space" by Kathryn McNutt. May 12, 2016. ↑ Riverbender. "Phillips 66 donates $25,000 to aid in flood relief efforts" May 9, 2017. ↑ Ponca City News. "Phillips 66 Grant Gives Students Hands-on STEM Science Kits" April 28, 2017. ↑ Tapinto. "Phillips 66 Bayway Refinery Plans to Fund Nature Outpost at Phil Rizzuto Park" January 15, 2017. ↑ The Creole. "Phillips 66 donates $50,000 to Sorrento Fire Department" December 23, 2016. ↑ Myhighplains. "Phillips 66 Donates $35,000 to Amarillo Police for Training" December 20, 2016. ↑ Ponca City News. "Ponca City Awarded Grants" December 16, 2016. ↑ Louisiana Tech University. "COES receives gift from Phillips 66 to support student experience" December 15, 2016. ↑ Alton Daily News. "Phillips 66 Donates to Playground Project" December 9, 2016. ↑ Advantage News. "Phillips 66, city of Alton join forces to build inclusive playground" December 9, 2016. ↑ Butler County Times Gazette. "Phillips 66 presents check for Flint Hills maps" by Julie Clements. December 1, 2016. ↑ Ponca City News. "Phillips 66 Donates $25,000 To Help Cushing Recovery From Earthquake" November 23, 2016. ↑ Ponca Post. "Phillips 66 Donates ST Math Grant for Ponca City Public Schools" by Mary Ladd. October 17, 2016. 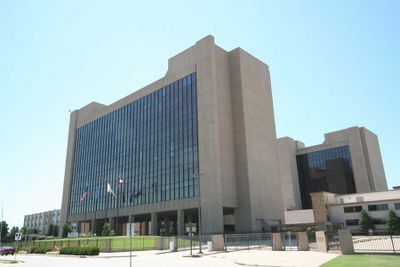 ↑ Bartlesville Examiner Enterprise. "Phillips 66 donates $250,000 to Boys & Girls Club" by Nathan Thompson. October 13, 2016. ↑ Alton Telegraph. "Phillips 66 donates $23k to Hartford Fire Department" October 10, 2016. ↑ Ponca City News. "Woodlands Holds Ribbon Cutting For New Track" September 2, 2016. ↑ Ponca City News. "Tour of New Agency" August 8, 2016. ↑ Edwardsville Intelligencer. "Phillips 66 awards four scholarships" July 27, 2016. ↑ University of Arkansas. "Phillips 66 Presents $100,000 to Walton College, College of Engineering" June 20, 2016. ↑ Riverbender. "Wood River explores options to avoid water flowing over Illinois 143 again" by Dan Brannan. January 26, 2016. ↑ Ponca City News. "Phillips 66 Makes a Difference In PC Classrooms" January 8, 2016. ↑ Ponca City News. "Phillips 66 Donates $15,000 to NOCF" December 25, 2015. ↑ Bartlesville Examiner-Enterprise. "Phillips 66 CEO says commitment to area remains" by Nathan Thompson. August 14, 2015. ↑ Ponca Refinery. "Phillips 66's Committment to Bartlesville Remains Strong" August 13, 2015. ↑ Bartlesville Examiner-Enterprise. "BHS unveils new areas Sunday" by Nathan Thompson. November 16, 2015. ↑ River Front Times. 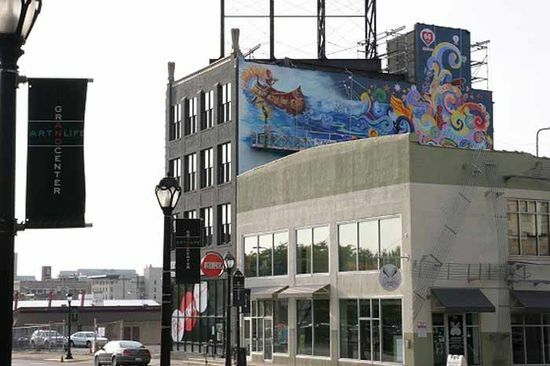 "New KDHX Mural Comes from an Unexpected Partner — Phillips 66" by Nicholas Phillips. September 10, 2015. ↑ Alton Telegraph. "5 win scholarships from Phillips 66" August 24, 2015. ↑ Bartlesville Examiner-Enterprise. "Agencies get new safety equipment" by Tim Hudson. August 4, 2015. ↑ Bartlesville Examiner-Enterprise. "Improperly laid concrete delays project at BHS" by Nathan Thompson. June 13, 2014. ↑ Bartlesville Examiner-Enterprise. "Area students win Phillips 66 scholarships" June 3, 2015. ↑ Riverbender. "Community Advisory Panel awards scholarships to local seniors" May 28, 2015. ↑ WGNO. "Belle Chasse Middle schoolers get a day of fun for their good grades" by Kris Cuzanza. April 30, 2015. ↑ KSBY. "Lucia Mar Unified School District gets $20,000 to expand robotics program" April 24, 2015. ↑ Riverbender. "Phillips 66 Wood River Refinery Sponsors SIUE Summer Camps" February 26, 2015. ↑ My Hih Plains. "Phillips 66 Presents $25,000 to Rolling Hills Elementary" by Sheryl Proctor. February 13, 2015. ↑ My High Plains. "Phillips Donates $15,000 to WT" by Karl Wehmhoener. January 30, 2015. ↑ Ponca City News. "Attucks Community Alliance Receives Phillips 66 Grant" January 30, 2015. ↑ Ponca City News. "City Receives Phillips 66 Grant For Equipment At McGraw Park" January 22, 2015. ↑ Phillips 66. "Third Quarter Conference Call" October 29, 2014. ↑ Ponca City Refinery "Profitability of Ponca City Refinery in Q3 2014" analysis by Hugh Pickens October 31, 2014. ↑ Tulsa World. "Phillips 66 CEO announces $1.7 million STEM grant for Bartlesville schools" by Laura Summers. August 13, 2014. ↑ Louisiana Tech University. "COES receives gift from Phillips 66 to support student education, experiences" by Dave Guerin. January 21, 2015. ↑ Plaquemines Gazette. "PHILLIPS 66 GRANTS $100K TO BELLE CHASSE YMCA" December 30, 2014. ↑ Paso Roble Daily News. "SLO Railroad Museum receives $30,000 donation" December 23, 2014. ↑ American Press. "Phillips 66 gives Westlake $115k police, fire grant" by Frank DeCesare. December 20, 2014. ↑ The Telegraph. "Area United Way efforts raise $1.7M" December 9, 2014. ↑ Alton Daily News. "Proposed Bike Trail Gets Grant" December 8, 2014. ↑ Alton Daily News. "Settlement Agreement For Refinery" November 20, 2014. ↑ KWOM. "Goff Tower To Be Reopened November 26th" November 19, 2014. ↑ KSDK. "3 communities to get upgraded tornado sirens" November 28, 2014. ↑ Alton Daily News. "Tornado Siren Project" by Doug Jenkins. November 28, 2014. ↑ Texas A&M. "Texas A&M Engineering Education Complex receives major donation from Phillips 66" October 30, 2014. ↑ Phillips 66. "Greg Garland" retrieved November 5, 2015. ↑ KPLC Tv. "LaGrange receives $100,000 grant from Phillips 66" October 28, 2014. ↑ Stillwater News Press. "Oklahoma State University receives $500,000 gift from Phillips 66" September 9, 2013. 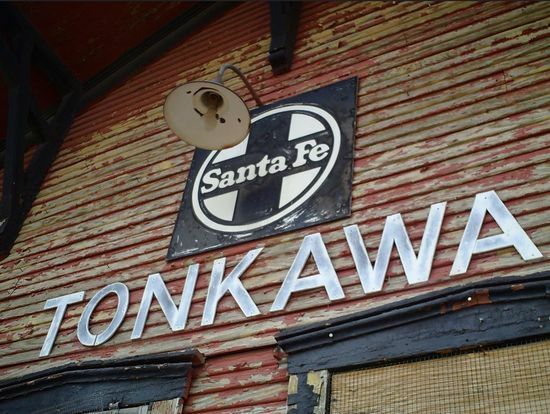 ↑ Ponca City News. "Phillips 66 Donates Fire Trucks To Two Volunteer Departments" September 3, 2014. ↑ New Orleans Times-Picayune. "Phillips 66 gives $750k for LSU College of Engineering interactive classroom" by Quincy Hodges. September 2, 2014. ↑ Edwardsville Intelligencer. "Phillips 66 awards 9 scholarships" June 27, 2014. ↑ The Daily texas. "Phillips 66 donates $500,000 to UT" by Adam Hamze. April 22, 2014. This page was last modified on 16 January 2019, at 10:12.